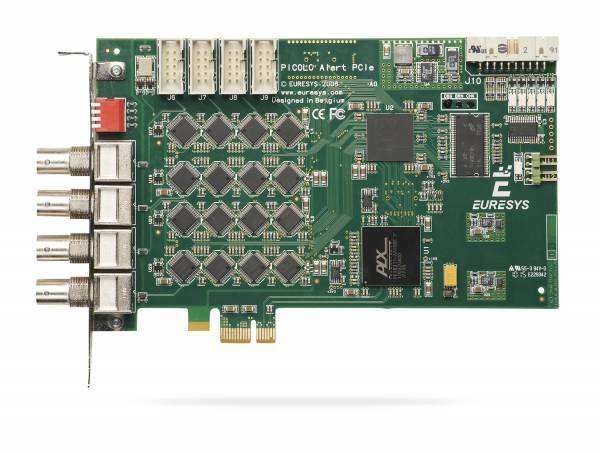 Product information "Picolo Alert PCIe"
Equipped with the Euresys video-surveillance FPGA, the Picolo Alert cards are able to acquire images from up to sixteen independent cameras with a total digitizing power of 200 / 240 fps. The user is free to share this digitizing power between the sixteen channels, according to the requirements of the application. Related links to "Picolo Alert PCIe"
Product Details "Picolo Alert PCIe"